I totally forgot to tell you about one very important moment Mark and I had last week. Mark rarely gets upset or angry. Because he’s so good at renovating and remodeling, we haven’t really had any situations where he was frustrated because he didn’t know what to do. And then came last Wednesday. 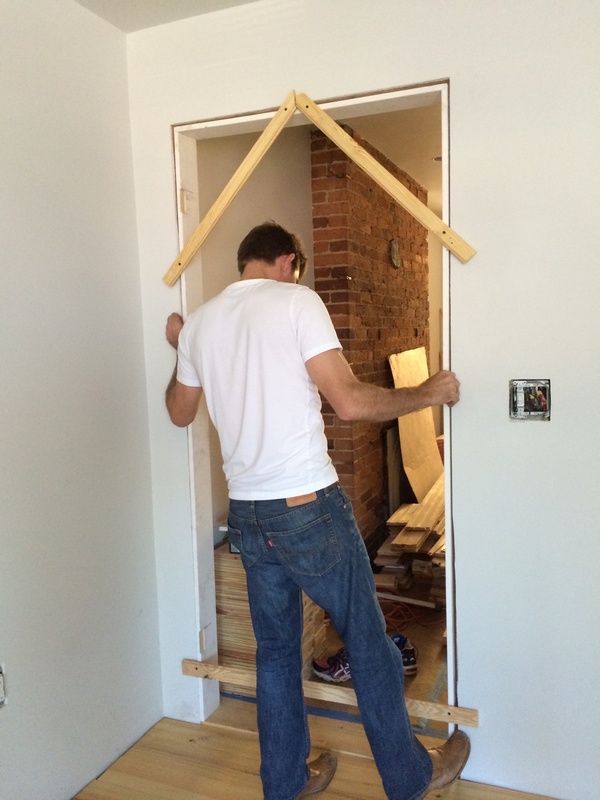 We were trying to build the door frames for our bedroom, bathroom and laundry room. 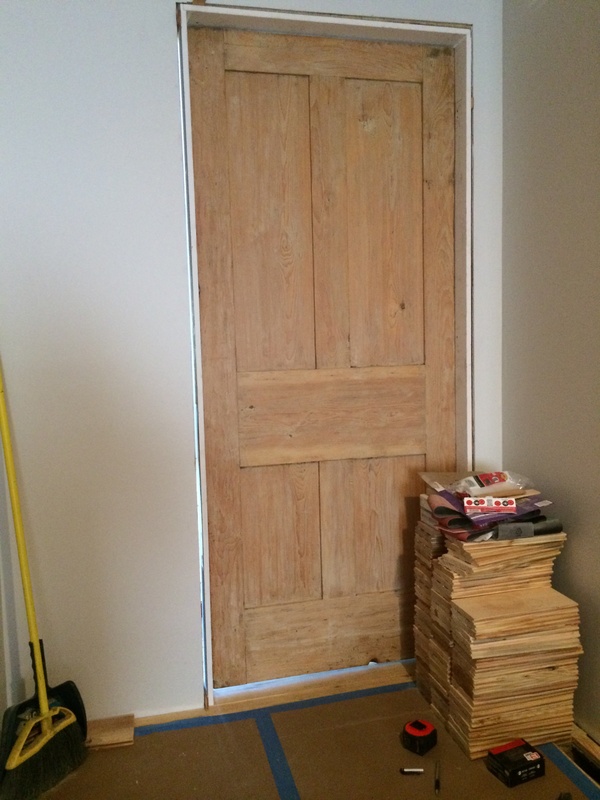 Before we put those beautiful refinished doors in place, we had to install the frames. When we lived in Asheville, NC (the most beautiful place!) 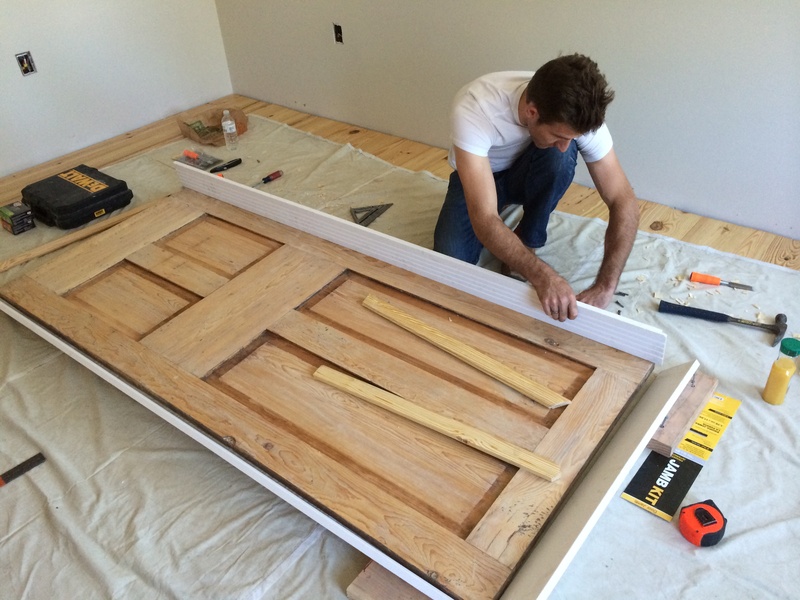 Mark bought a pair of french doors and built a frame for them. 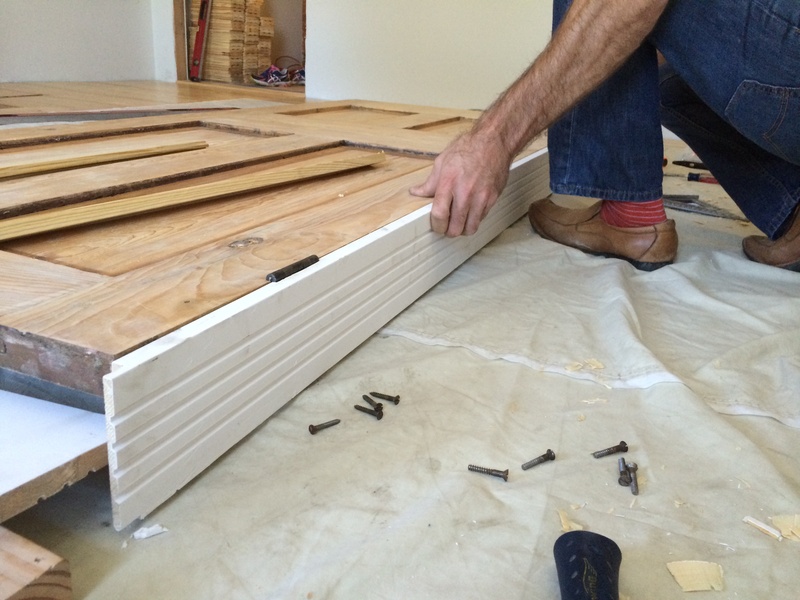 He remembers that the frame came together easily…he put the doors in and everything worked. You know when your spouse is really frustrated and you don’t say anything at all because you don’t want to aggravate the situation??? “Gladly,” I said. 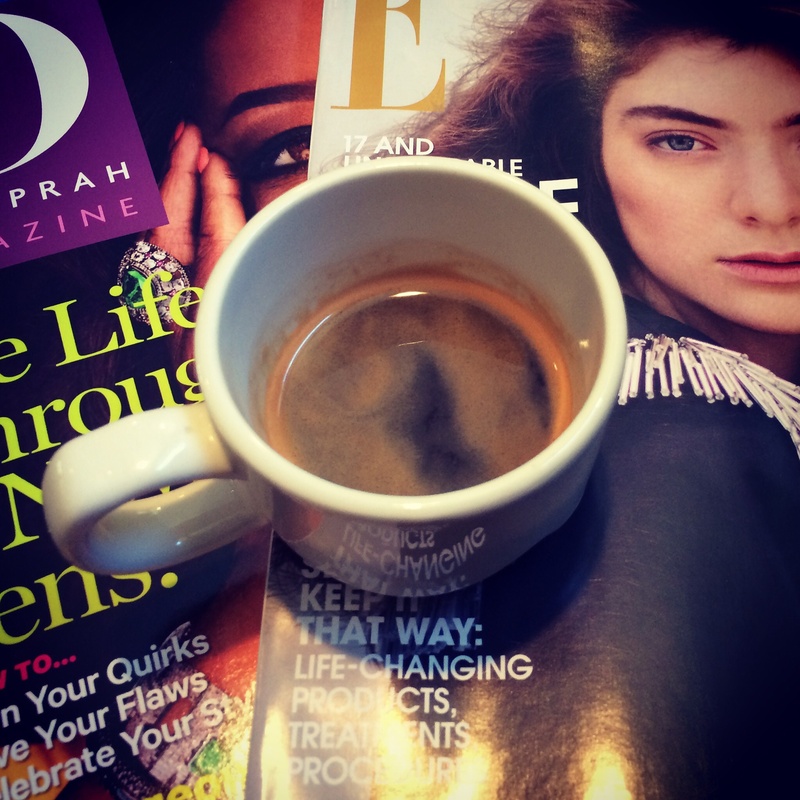 I took my iPad and walked down to Crazy Mocha and had a delicious espresso. I came back to the house about an hour later and the door frame was up and perfect. What a team – I love the trust you two have. He can ask for what he needs, and you can give space, and voila, you have a great door frame too! Thank you! We’re not perfect, but we try to support each other! Oh Courtney we’ve been there!! I Commend you both for handling the Way you both did and to you for understanding with no hard feelings. Those situations can just drive a guy Nuts. Ultimately you will enjoy the Beautiful doors (and frames) in the end And laugh about the process. You two Are great together!! I love that you shared this, I hope that people melt married take note. It is most important to understand there are times that leaving is not walking out but walking into a deeper understanding of each other’s pain and the critical thing in a relationship is being able to voice your needs to one another and your spouse to give you what you ask no matter how counter intuitive it seems. I knew if I shared this, other people would definitely relate!